Looking for a Florist in Bolton? Welcome to the Lancashire Floristry website. My name is Victoria & I'm a floral designer with over 15 years of experience in the floral industry. In 2008 I decided to launch my own business which took off very quickly. I now find myself being a busy little bee creating flowers for both the happy & sad occasions that life brings us. As an independent floral designer I can offer bespoke contemporary & traditional designs to suit your taste as well as your budget & can deliver flowers to all areas of Bolton. 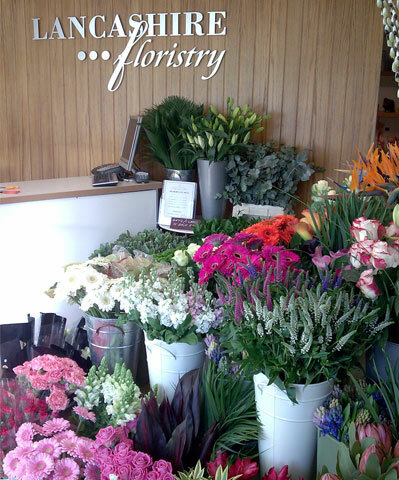 We aim to provide a friendly service from our florist shop in Bolton. We are based near the Town Centre and can always deliver floristry and always aim to impress with every delivery. We can offer same Day flower delivery to all areas of including the Town Centre, Lostock, Horwich, Wingates, Farnworth and The Royal Bolton Hospital. We can create beautiful flowers for any occasion - The giving of flowers is not unlike other gift-giving occasions. And on each occasion we aim to create the perfect gift. We take extra care to cater for your specific requirements and our team florists would love to create something special for you. One of key services is being able to offer same day flower delivery to Farnworth, Sharples, Horwich, Harwood, Atherton and surrounding areas. As a Florist we offer a full range of fresh gift wraps and hand-tied bouquets, beautiful floral arrangements and baskets to suit all occasions including birthdays, new babies, anniversaries, weddings and funerals. Whether you have a budget to stick to or a 'sky's the limit' approach, Lancashire Floristry can cater for all. We are sure to not only meet but surpass your expectations. Give us a call to arrange a convenient time to come & have an informal chat with us. We look forward to meeting you. We deliver daily to all areas of Bolton, Bury, Radcliffe and surrounding suburbs, delivering a wide selection of flowers. The tradition of giving flowers is one that is revered by lovers, friends and families all around the globe. While flower giving can accompany almost any occasion, the most common reason to give flowers is to express romantic love. Nervous first dates, wedding decorations and bridal bouquets, anniversaries, unexpected "I Love You's", "I'm Sorry's", and, of course, the annual love fest that is Valentine's Day are all special occasions that call for beautiful, carefully selected flowers. But love isn't the only reason people give flowers. Flowers and bouquets are often given for a celebration such as birthdays, presented by children young and old to their Mums on Mother's Day, and flowers are often laid as a beautiful memorial in honour and remembrance of a loved one. A single flower, bouquet or floral arrangement can express joy, romance, passion, appreciation or sympathy in a way that is often difficult to match with any other gift. From traditionally styled bouquets in coloured cellophane wrap to modern hand-ties and arrangements made with unusual and exotic flowers. All are hand delivered to the address of your choice and we specialise in vase finished bouquets that can easily sit in the office if the delivery is to go to a place of work. Whatever the occasion, be it a birthday or an anniversary, to say sorry or to say thank you, we can organise your gift in super quick time!